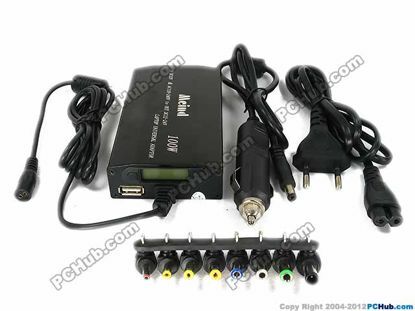 Universal AC adapter AC 100-240V that power most of the laptop computers. External diameter x internal diameter. into DC 12V to 24V Max. 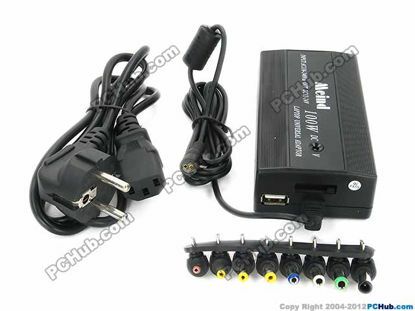 100W, that power notebook / laptop computers and any electric equipments with power consumption less than DC 100W. 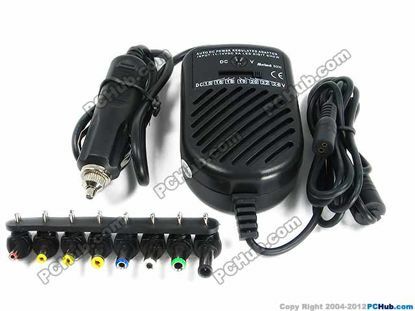 This power inverter is most commonly used for a notebook. This is used for any electric equipments with power consumption less than DC 80W. 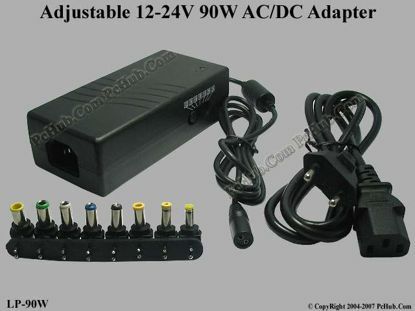 Check the sizes of the tips that match the tip of your AC or DC adapter of your equipment. 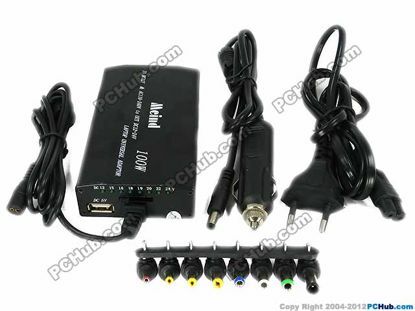 UPH Laptop Universal Laptop Adapter *This model is a switching-mode power supply, operation at input AC voltage 110V to 240V and DC voltage of 15-20V / 6A max, 22-24V / 5A max, with many protection functions for notebook use. INPUT : 110-240V~ 50/60Hz, 1.3A Max. 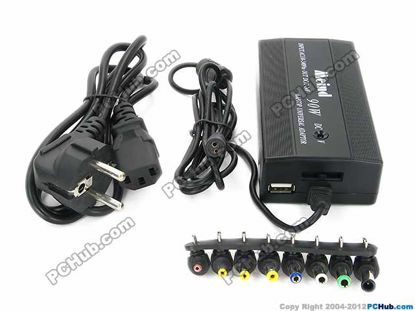 *Plsease take note, make sure that the polarity of DC connector plug is connected correctly, select output voltage to suit to laptop before use. 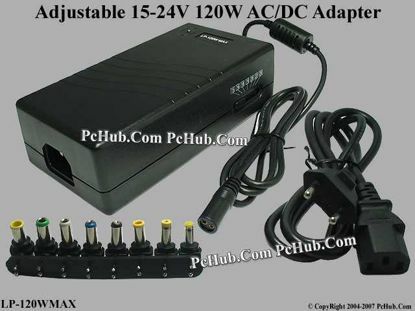 *This model is a switching-mode power supply, operation at input AC voltage 95V to 265V and DC voltage of 12-19V/4.5A max, 20-24V/3.5A max, with many protection functions for notebook use.